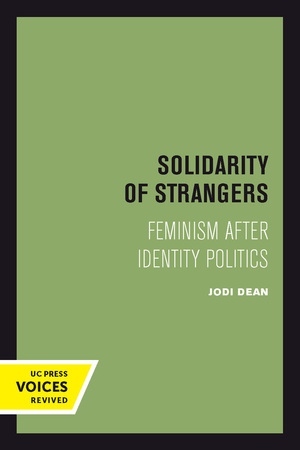 Solidarity of Strangers is a crucial intervention in feminist, multicultural, and legal debates that will ignite a rethinking of the meaning of difference, community, and participatory democracy. 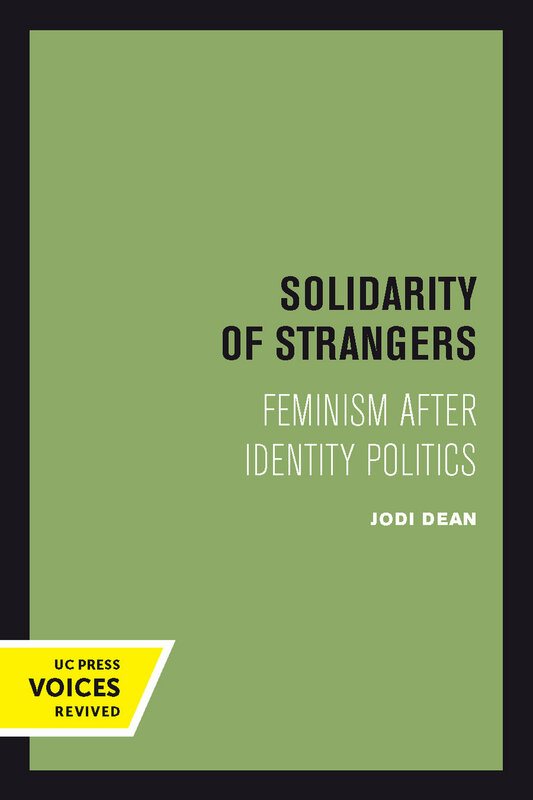 Arguing for a solidarity rooted in a respect for difference, Dean offers a broad vision of the shape of postmodern democracies that moves beyond the limitations and dangers of identity politics. Jodi Dean is Professor of Political Science at Hobart-William Smith Colleges. She is on the editorial boards of Constellations and Philosophy and Social Criticism, and is the editor of Resisting the Political: Feminism and the New Democracy.